Dozens of black, female Democratic activists and leaders have written an open letter to Democratic National Committee (DNC) Chair Tom Perez about the lack of support they receive from the party. Signatories include state and federal lawmakers like Rep. Marcia Fudge (D-Ohio) and Rep. Barbara Lee (D-Calif.). Black women have consistently shown up for Democrats as a loyal voting bloc, demonstrating time and again that we are crucial to the protection of progressive policies such as economic security, affordable healthcare and criminal justice reform. We have voted and organized our communities with little support or investment from the Democratic Party for voter mobilization efforts. We have shown how Black women lead, yet the Party's leadership from Washington to the state parties have few or no Black women in leadership. More and more, Black women are running for office and winning elections — with scant support from Democratic Party infrastructure. Well, like civil rights activist Fannie Lou Hamer, who testified at the 1964 Democratic convention demanding Blacks have a seat and voice within the Party, we are "sick and tired of being sick and tired." The Democratic Party has a real problem. The data reveals that Black women voters are the very foundation to a winning coalition, yet most Black voters feel like the Democrats take them for granted. The Party's foundation has a growing crack and if it is not addressed quickly, the Party will fall even further behind and ultimately fail in its quest to strengthen its political prospects. Investing in Black women's political leadership is a solid return on investment, one that is rooted in facts and data. In recent years, Black women have proven to be the most active voting demographic in the nation. In 2008 and 2012, 70 percent of eligible Black women cast ballots, accounting for the highest voter turnout of any racial or gender group, proving that our voting power can and has determined elections. A closer look at the data shows that in 2012 Barack Obama won re-election by 4.9 million votes. 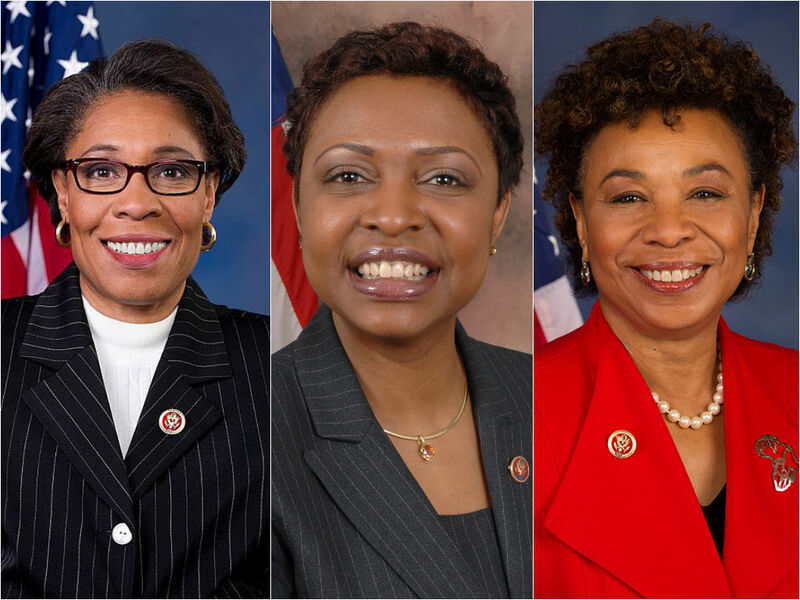 The 115th Congress has 20 Black women—the largest number in history. The group includes Kamala Harris, who is the second Black woman to serve in the U.S. Senate, a body that has not had a Black woman's voice in 20 years. In addition, Lisa Blunt Rochester became the first woman and Black person to represent Delaware in the U.S. House of Representatives.Black women cast a total of 11.4 million ballots, providing the margin he needed to win. This past November, even with a clear lack of voter mobilization investment and a decrease in overall Black voter turnout, 94 percent of Black women voted to keep this country moving forward by casting ballots for Hillary Clinton. In addition, on November 8th we saw important elected-office gains by Black women despite the otherwise dismal defeat of progressives during the general election. Black women also made important progressive wins in Minnesota, where IIhan Omar became the first Somali-American Muslim elected to the state legislature; Kentucky, where Attica Scott became the first woman elected to the state legislature in 20 years; Cook County IL, where Kim Foxx was elected state's attorney; Orange County FL elected Aramis Ayala the first Black state's attorney in the Florida's history; the state of Texas elected its first woman Sheriff, Zena Stephens; and Jefferson County, AL elected nine Black women to the judicial branch. This February, in the DNC elections, we saw an increase in overall diversity within the officer ranks, but no increase in leadership representation of Black women. Since taking office, you have met with and listened to key constituencies. But you have yet to host a Black women leaders convening. Organizing without the engagement of Black women will prove to be a losing strategy, and there is much too much at stake for the Democratic Party to ignore Black women. Following your recent announcement of your top staff hire, we are left with significant concerns about how the Party is developing its strategies and allocating its resources. In the absence of our inclusion in discussions about the Party's forward movement, we question whether the Party values our loyalty and takes our commitment seriously. In this termed "movement building moment," how will you lead the Democrats forward? Will Black women be among those at the helm, helping to design the strategies, craft the message, mobilize troops, and lead the way - as policymakers, political strategists, activists, and elected officials? We respectfully request that you convene a meeting with Black women leaders and activists where you can hear not only our concerns, but also our thoughts on how the DNC can invest in Black women's engagement and leadership moving forward from hiring of key staff and consultants to investment in training and leadership opportunities. The time is now for progressive power brokers and the very Party that we have carried on our back to the voting booth, year in and year out, to make a sustained and substantial investment in our leadership and priorities. We have demonstrated our commitment to the Party. It is time for the Party to demonstrate its commitment to us. We stand ready to join you, your team, and Party leadership on the front lines — but not as silent partners.